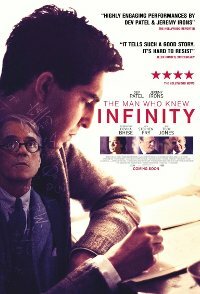 Set in the early years of last century, this film is based on the true story of one of the greatest minds of his generation. A poor young man living in India had a talent for mathematics. He wrote to a professor at Cambridge University in England, who, recognising his talent, brought him to England to study. The Indian had to overcome race and class differences and eventually went on to revolutionize the field with his startlingly original theorems. You're not Michael Jackson in disguise, are you?